Cultivating a mindfulness meditation practice could be the most important aspect of any health and wellness routine. Wellness is not a destination but a journey that requires ever increasing amounts of the type of self-awareness that mindfulness meditation provides. There are many different mindfulness meditation techniques and finding which styles produce your desired benefits is a wondrous process of experimentation. All aspects of meditation involve being mindful in that the goal is always to better understand what the mind is or is not doing in order to gain some understanding and control. Mindfulness meditation creates mental awareness either through total focus or complete open mindedness depending on the goal of the technique. Where physical exertion is necessary to improve cardiovascular health and strength for the body, mindfulness meditation can be considered a practice to strengthen the mind. A mindfulness meditation practitioner should begin with learning the basic meditative processes of breathing, concentration, and relaxation that will be outlined in this guide in order to open the pathways to more advanced techniques. Whether you are looking to enhance performance in a competition or business endeavor or simply hoping to find techniques for improved relaxation and focus, mindfulness meditation can help you achieve a wide array of desired benefits. It is time well spent to understand your skill level and desired results in order to find the perfect technique for a given situation. Remember that mindfulness meditation is a lifestyle choice and consistent practice is the only way to see the amazing results that are possible. Take the time to understand the basics if you haven’t already and enjoy the process of the journey that is mindfulness meditation. Before understanding how to do various techniques one must begin by first developing a willingness to explore the inner workings of the self and have a grasp on the fundamentals. Mindfulness meditation is a vehicle for greater self-awareness and inner peace that can be attained to an amazing degree. When learning how to do mindfulness meditation it is important to start off by building a foundation on the basics of posture, circulation and creating an appropriate meditative environment. Posture during meditation plays a critical role because you don’t want limbs falling asleep during practice. Traditional cross legged posture is preferred with the tops of the wrists resting on the knees with thumb and fore finger gently touching. Sitting on a cushion, yoga block or small stool can ensure comfort and circulation by causing the hips to be higher than the knees and helping the spine to be as erect as possible. Having a quiet meditative environment is also necessary for obtaining maximum benefits. Think quiet room with no media devices, soft music, a small fountain or just plain silence. Mindfulness meditation isn’t something to be done while lying in bed or in a room where there might be numerous distractions from other people, phones or televisions. For the best results and benefits from mindfulness meditation a special area or room in the home is ideal. When practicing mindfulness meditation understand that whatever is happening during the practice is exactly right for the moment and that there is no right or wrong thought or feeling that may arise. Note that any resistance felt to a type of technique may indicate a greater need for work in that particular area. In other words practice weaknesses as well as strengths. Pick a technique that suits you and what you are trying to get accomplished. The world of mindfulness meditation is a vast and wondrous landscape of self discovery, imagination and ‘AH-HA’ type moments so don’t be discouraged if certain results are not felt immediately. Mindfulness meditation is the opposite of instant gratification, it is a patient and mysterious unfolding. Have fun and mix it up by trying different techniques, settling into one or two until desired goals are met then move onto a more advanced technique. The following mindfulness meditation techniques start with beginner level exercises that are very effective for cultivating a new practice as well as more advanced level techniques. It is recommended to start with learning some breathing techniques, then contemplative meditations before going into more advanced styles which will typically use a combination of several techniques. The ultimate goal of mindfulness meditation is to garner increased awareness, transformation and feelings of tranquility. A well-rounded mindfulness meditation practice will involve aspects of several techniques being practiced. Having greater breathing control is one of the simplest yet most effective mindfulness meditation skills a person can have to create better results in almost any activity or situation. It is a foundation for improved performance in areas of life such as competitions, spiritual endeavors as well as in times of heightened stress in day to day life. Deep breathing is easier said than done because most of us typically have very shallow breathing that is done primarily on a subconscious level. Many professional athletes and spiritual gurus alike take breathing exercises very seriously and make them part of their daily routine. Better breathing skills can be used very effectively as a tool to battle stress in daily life as well. Life throws out many curve balls that can easily distract a person from their breath and breed a mental clutter that can cause stressful situations to become overwhelming, bad decisions to be made and problems to escalate. Skills developed through the use of deep breathing techniques will help diffuse potentially stressful situations more rapidly and make solutions more easy to visualize. Want to get started with a deep breathing exercise? Try this Breathing Meditation guided by Dr. Deepak Chopra. For learning to quiet the mind and sit in non-judgmental observance. Contemplative techniques of meditation should be learned after deep breathing techniques as a starting point to beginning a meditation practice. These are typically more traditional methods and help to develop the ability to observe without reaction and to accept things just as they are without trying to change them. This style also helps one feel more connected to nature and their surroundings letting thoughts and feelings come and go freely without judgment or analysis. This technique involves centering, quieting and ultimately clearing the mind during practice which is a useful beginning point to go into other types of meditation. Your mind is still functioning it is just more clear and tranquil and not over thinking as is usually the case in day to day life. Once you are able to calm and quiet the mind then you can begin to control and direct it. Want to try a contemplative meditation? Try this Mindfulness Of Thoughts meditation audio recorded and guided by One Mind Dharma. For competition and performance enhancement, better mental focus, improved creativity and imagination. Visualization is a type of mindfulness meditation technique that can be utilized to bring about a multitude of positive outcomes. From greater inner peace or better performance results to material and financial abundance. In order to use visualization techniques to the fullest, it is necessary to think of the mind as a very powerful tool of creation, this should not be difficult to do because of the simple fact that it is. The definition of manifestation and the universal law of attraction are also important to understand before beginning a visualization practice. Manifestation is the act of bringing something into reality simply by visualizing it and believing, with feeling, that this something already exists. In order for something to be created it must first be a thought and the most powerful creative thought is one that is visualized in such detail that it feels as if it already exists. Once the visualization has reached the point of total belief in every detail, then will the ideas, tools and means necessary to bring the vision into reality in the simplest way possible appear. Want to try a visualization technique? Here’s a simple one to get you started. This technique is designed to be a blueprint to follow for cultivating the power of manifestation. Find a quiet spot for meditation in the home or outside in nature, assume a meditative posture, lightly close the eyes and begin to notice the subtle sounds, smells and feelings of the space you are inhabiting and begin taking full breaths through the nose and out the mouth. Once you have arrived in this new environment feel very grateful for its existence. Take a moment to breathe and let the setting of this new place you are imagining completely soak in as though you are fully immersed in the scenery. When you feel as though you have visualized as much as possible for this session open your eyes and believe as though this place really exists. Continue feeling this certainty until you have no doubts as to its reality. You can return to this special place anytime you choose and create new aspects whenever you go. This process once mastered will help you to manifest better performances, more abundance and even new inventions. Just use this visualization process on whatever goal you want to attain and imagine the details of how it will happen in this way. Always continue breathing fully in and out through the nose and mouth for the duration of the visualization session. To clear and balance the body’s energy, create more overall wellness and to better understand how energy relates to different aspects of self. Meditations for the body’s energetic fields such as the chakras or kundalini are ancient practices designed to benefit emotional and spiritual well-being. There is scientific proof that the true make up of a human being consists of an energy system that is actually larger than and encompasses the physical body. This bodily energy system is very important because it is the primary determinant of our inner health. Blockages, malfunctions, and imbalances in energetic flow can cause unwanted circumstances that may include lack of energy, mood imbalances and even disease. Our bodily energy is guided, directed and purified as necessary on primarily a subconscious level. However, using mindfulness meditation to become more aware of the body’s energetic level is very beneficial to balancing moods, emotions and healing undesired conditions. Better knowing how energy flows through your body is the ultimate key to success, contentment, inner peace and self-realization. By having optimal flowing energy you can heal yourself from negativity and discord and live in your highest vibration. To get started try this Reiki Healing Meditation. Deep meditative states can be induced through a wide variety of sound meditation techniques. Sound meditations such as gong, singing bowls or drumming circles induce meditative states by emitting vibrations that are indefensible to the human brain. Researchers have found that most people are in the beta frequency most of the time while awake. This is the state of stress, over thinking and the feelings of having too much to do with not enough time to do it. Just like a screeching chalkboard, or unbridled noise from a bustling office, airport or train station are sounds that produce beta stress waves, sound meditations are designed to combat this unwanted brain state by inducing calmer frequencies in the brain such as the gamma wave associated with increased compassion, the alpha brain wave associated with relaxation, or the theta wave associated with increased creativity and intuition. Want to experience brainwave inducing sound meditation? Try out this Theta Binaural Beat Session. Science has identified mindfulness meditation as an activity that causes neuroplasticity which is another word for brain resilience and endurance. Over time our brains can develop unhealthy neurological pathways almost like ruts that cause behavior to be more habitual rather than creative and unwanted imbalances between left and right hemispheres. Fortunately the concept of neuroplasticity has helped to identify the brain as an active and directable organ and not nearly as static as previously believed. We cannot have peak performance from our minds unless we have a healthy functioning brain structure and practicing mindfulness meditation techniques are some of the only ways known to improve the brain structure through neuroplasticity. So we know that science has confirmed mindfulness meditation improves the mental state, easing stress, causing happiness and improving cognitive abilities but studies have also been conducted showing how this relates to physical health as well. The growing medical field of psychoneuroimmunology has proven a strong correlation exists between mind and body. It has established that stress levels, mood and thought patterns have a profound impact on physical wellness and the body’s ability fight off disease. So improving your state of mind through meditation is scientifically proven to benefit not only the mind but the physical body as well. As with anything in life the amount of benefits received from mindfulness meditation will be directly reflected in the amount of consistency, diligence and dedication put forth to the practice. Advanced and long term benefits from continued practice stay with you even when you are not meditating. Eventually what can happen is that the practice itself becomes second nature and the benefits become integrated with your whole life. For every action and effort put forth there should be time made for quiet observance and solitude. This balance between effort and rest can be described as yin-yang balance. This is the balance associated with the total wellness that can be reached through mindfulness meditation. 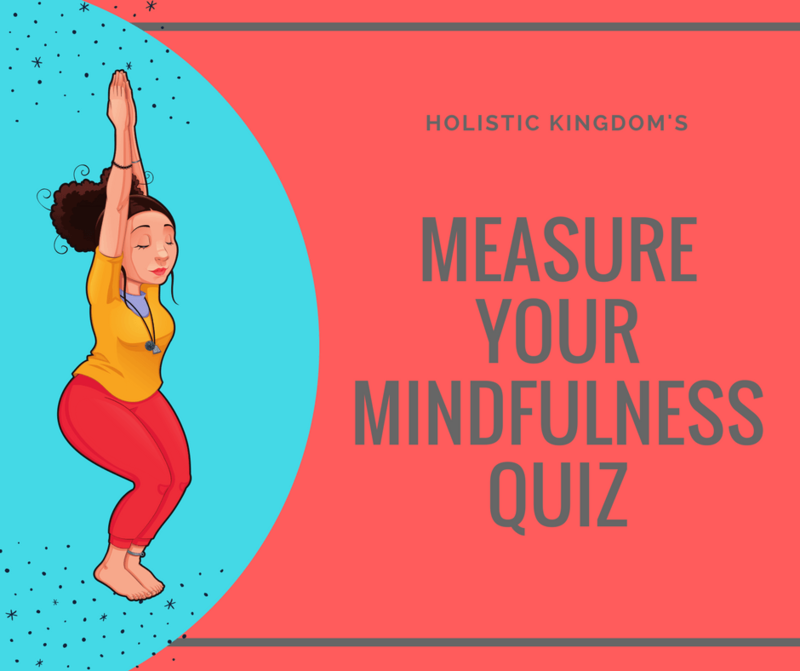 Want To Measure Your Mindfulness? Technological advances are being made in the field of meditation that allow for optimal brain states and relaxation to be induced faster and more easily. The use of biosensors, artificial intelligence, virtual reality and smart phone apps are the exciting new frontier in mindfulness. The medical fields related to the neurosciences continue to grow as well as more research is being conducted on how the mind is connected to overall health and wellness. Some traditional methods of meditation such as sitting quietly observing nature, however, will always rely on real experiences. Chen KW1, Berger CC, Manheimer E, Forde D, Magidson J, Dachman L, Lejuez CW., “Meditative Therapies for Reducing Anxiety: A Systematic Review and Meta-Analysis of Randomized Controlled Trials” Depress Anxiety. 2012 Jul;29(7):545-62. doi: 10.1002/da.21964. Epub 2012 Jun 14. Williams LR, Herbert PG., “Transcendental Meditation and Fine Perceptual-Motor Skill.” Percept Mot Skills. 1976 Aug;43(1):303-9. Jain S1, Shapiro SL, Swanick S, Roesch SC, Mills PJ, Bell I, Schwartz GE., “A Randomized Controlled Trial of Mindfulness Meditation Versus Relaxation Training: Effects on Distress, Positive States of Mind, Rumination, and Distraction.” Ann Behav Med. 2007 Feb;33(1):11-21.